← I think I need to update more. Am finally making use of my wordpress app on iPhone. Had been wanting to do a layout of myself. 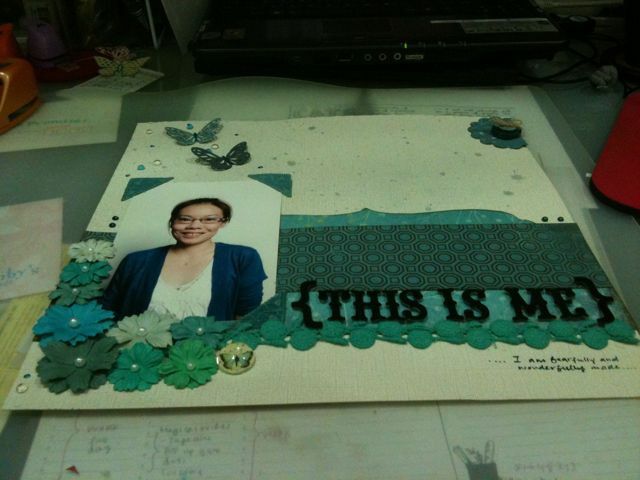 Bought the sticker ‘This is me’ first n it was sitting in my HUGE scrapbooking stash for quite a few months. This picture was taken at the loreal makeover thing n it was perfect!